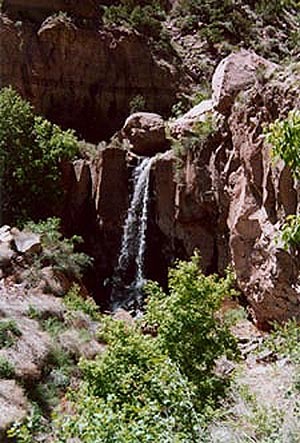 One of the waterfalls at Bandelier National Monument near Los Alamos, New Mexico. 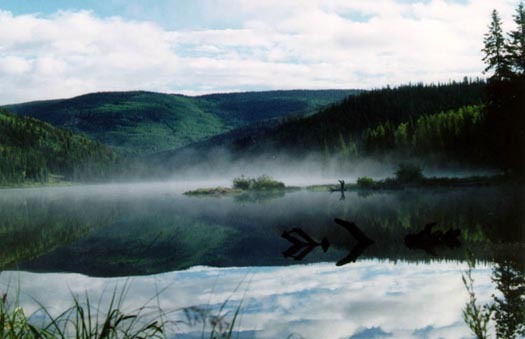 A Colorado Lake in the morning. 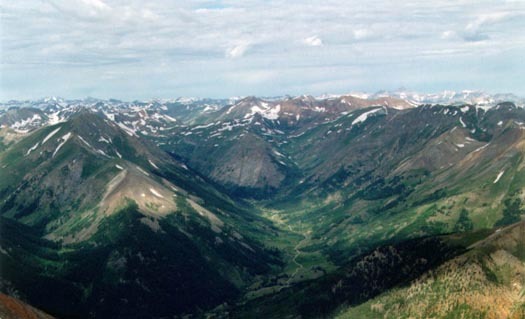 A view from the top of Redcloud Peak, near Lake City, Colorado. It's 14-something-thousand feet tall. "HWY 101 SPEED MONITORED BY AIRCRAFT" Look at the road. 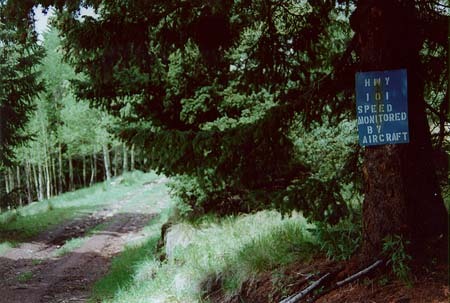 The nearest pavement is several hunderd feet in altitude lower, and a couple miles by 4WD vehicle. 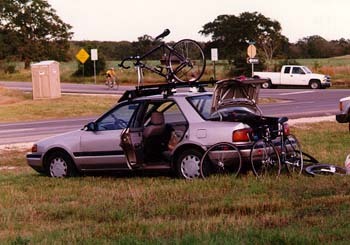 Road tripping... Give or take a bike or two. 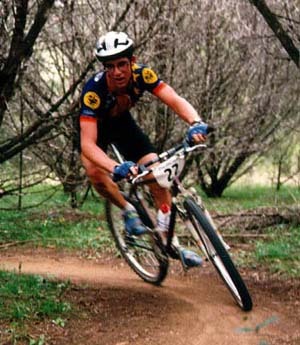 This is my friend, Greg Griffin, at a collegiate race at SouthWest Texas State University's University Camp.